At Computex 2017, Nvidia along with display partners Acer and Asus have come together to unveil once again new products which will push the boundaries of PC gaming and its peripherals. 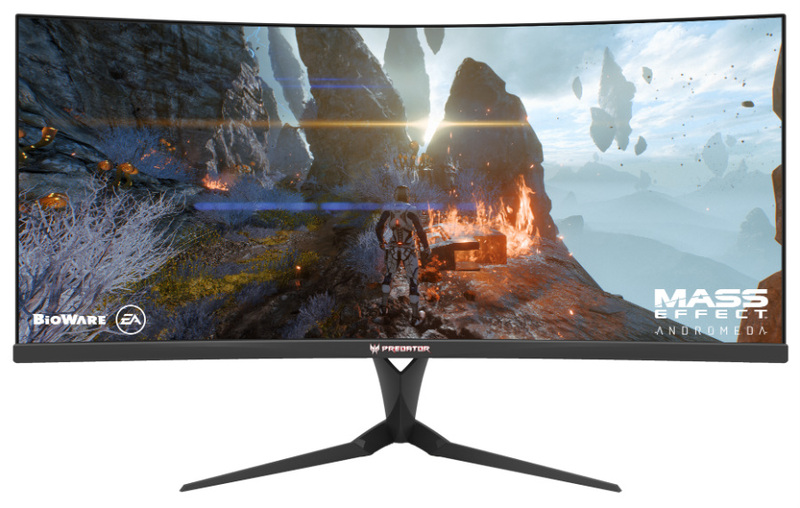 We are now expecting two new gaming monitors with 3440 x 1440 at 200Hz ultrawide monitors; the Asus PG35VQ and the Acer Predator X35. 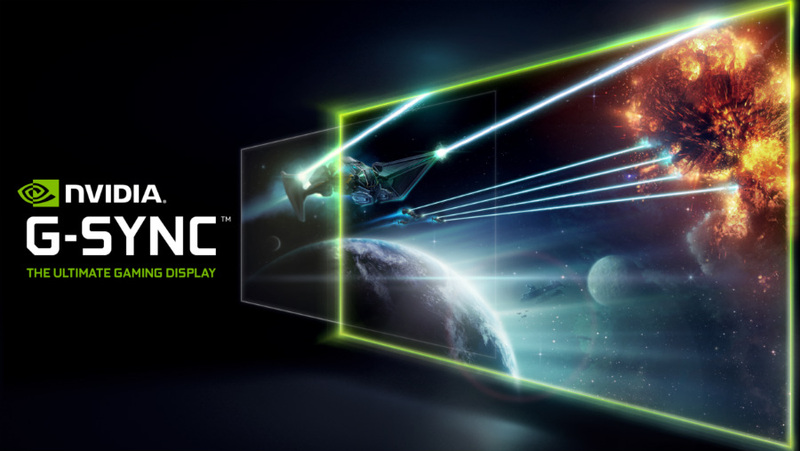 But the kicker is these two exciting offerings will come with the green team’s G-Sync HDR technology which blends buttery smooth graphics with the visual magic of HDR10. When Asus unveiled the much awaited 4K 144Hz PG27UQ, the computer world buzzed with excitement since the product puts 4K gaming in the competitive and smoother graphics-capable category of displays. The all new Asus PG35VQ, the biggest screen the brand has ever made, now looks to dominate the immersive gaming arena with its impressive 3440 x 1440 resolution at a jaw-dropping 200Hz. Imagine seeing UW-QHD frames every 5ms, since we can’t nearly describe how awesome that would be in practice. But the most exciting aspect of this new wave of ultrawides is that they conform to HDR10 standards. The Asus PG35VQ supports the wider DCI-P3 gamut usually found on professional monitors or cinematic projectors, therefore bridging the gap between the two categories of premium displays. The Asus PG35VQ achieves its HDR capabilities with the help of a few cutting-edge features. First and foremost, this new model can reach 1000cd/m2 of backlight brightness with 512 localized dimming zones to create a wider contrast range. Each of the 512 LEDs can be controlled independently to brighten or darken specific areas of the screen, depending on the picture. Asus also included Quantum Dot backlighting to enhance the color spectrum of the display, which makes shades smoother and images more accurate. This fantastic screen is wrapped in a chassis with the second generation ROG treatment. But instead of the usual bronzy-orange and titanium gray theme, the Asus PG35VQ now comes in a darker shade of graphite black, almost similar to the older generation of their PG models. The helix stand comes standard, and we know for sure it will share tilt, swivel, and height adjustment ergonomics with the Asus PG348Q. For the most part, the Asus PG35VQ is now bezel-free, except for internal borders on the panel which we have come to expect from models like this. Lastly, this new model comes with an RGB LED module on the cabinet which syncs with Asus’ Aura Sync ecosystem. If you have an Asus Aura equipped PC, the Asus PG35VQ should fit right in and synchronize its pulsing or breathing RGB LEDs with the rest of the build, creating an attractive and exciting aesthetic for your gaming setup. Acer is the number one contender to replace Asus in the best-selling monitor’s throne this year, and their response to the model above is the sinister-looking Acer Predator X35. This new design comes with the similar 3440 x 1440 at 200Hz VA panel from AU Optronics which includes all the goodies such as HDR, G-Sync, and Quantum Dot. The screen is also capable of 1000cd/m2 of illumination, capable of enriching blacks with unrivaled depth and whites with a crisp, and clean output. Of course, the color range is extended to reach DCI-P3 gamut standards, enabling owners to utilize this 35-inch behemoth for both gaming and design work. The vibrancy of the color outputs is outstanding thanks to the addition of a Quantum Dot Enhancement Film (QDEF), enabling a lifelike rendition of both images and video that we have never seen before. Frankly, the Acer X35 is almost entirely identical to the Asus variant in specs and capability, but what we like about this competitor is its design. The Acer X35 will have a three-sided bezel-free design which we all love and wish for in modern monitors, although the dreaded black inner border will still be there. This should give the screen an illusion of being infinite, and even if it isn’t truly so, in practice, the X35’s display will look amazing. Just like the famed Acer Predator X27, the Acer X35 shares the radically redesigned metal stand which imbues an architectural or artistic appeal into a genre of RGB lighting and robotic themes. We love the direction Acer is taking into redesigning their products, and in our books that alone pushes them a few steps ahead. The Acer X35’s chassis will also have a graphite black finish which emboldens its take in the gaming and professional category of PC monitors. Both the Asus PG35VQ and the Acer Predator X35 along with the 4K 144Hz Asus PG27UQ and Acer X27 are about to open a new frontier of PC gaming and professional applications. Both have substantial increases in speed coupled with the capabilities of HDR10 and Quantum Dot technology, so we are expecting these exciting products to change how we rate and feel about monitors in general. It is also interesting to note that all of these cutting-edge gaming monitors will run on DisplayPort 1.4, so if you are running on older specs, you might need to consider a system upgrade before diving into the HDR plunge. If you have premium graphics cards like a GTX 1070, 1080 or 1080 Ti, then you are safe since they will be compatible, but they might not have enough power, in the long run, to utilize these bad boys with the latest games. 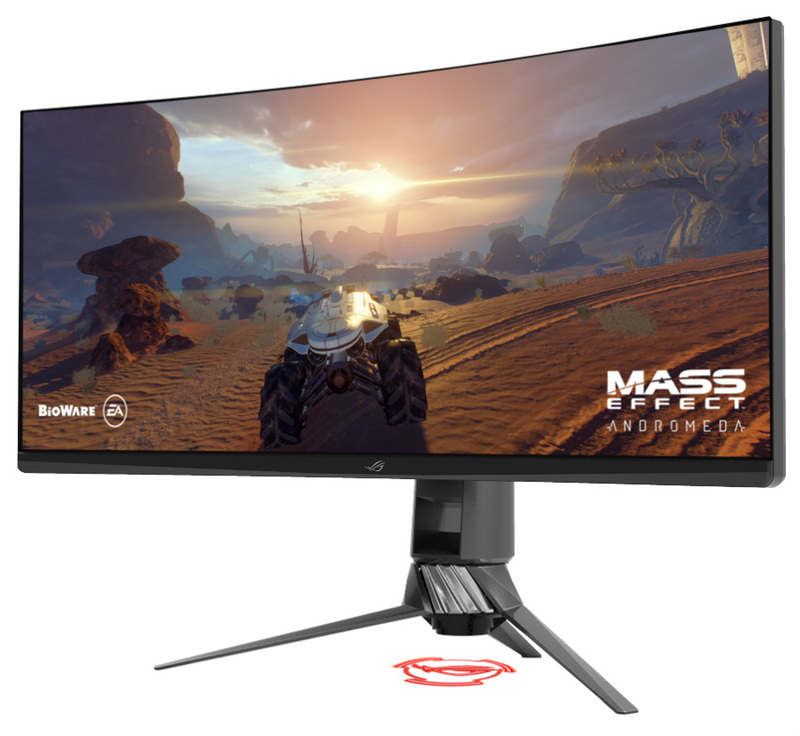 Cost is also a concern for these new monitors, since the 4K 144Hz models are estimated to go for more or less two grand, and we speculate that the Asus PG35VQ and the Acer Predator X35 to follow this bracket tightly. If you want in on the HDR fray, then you better start saving up because these two HDR-ready ultrawides should hit the shelves in time for the holidays. I wish we had some bigger panels, say a 38″ or 40″ Ultrawide. All these panels are are 27″ 16:9 panels with a bit extra on the side. I don’t think it is worth the huge price just for that, I wan’t something bigger overall. Hey, Mitchell, Asus is releasing a 38-inch model this year, but it isn’t for gaming. We hope a similar model with fast refresh rates is due soon. Where are the FreeSync variants?? I suppose it doesn’t matter much.. 2k for a monitor is insane. If they are going to insist on that kind of price then I hope they take QC more seriously now because the high end gaming focused monitors have been ridiculously hit and miss up to now. No AMD GPUs currently on the market can run these monitors. AMD’s highest power GPU (580) is equivalent to the GTX 1060. To run these panels, you’d realistically want a 1070 at minimum, probably a 1080. Hey, Mitchell! Agree, the computing world is still waiting for a worthy AMD answer to Nvidia’s Pascal, and it’s taking too long already. It’s a good thing these new ultrawides have a G-Sync module so they can only sync with Nvidia cards.